FRANKFORT, Ky. — There are just over 38,000 people living in Floyd County, among the mountains of eastern Kentucky. Yet between 2010 and 2016, a San Francisco-based pharmaceutical distributor shipped more than 18 million doses of opioid painkillers there, enough for each person to have 477 pills each. Kentucky Attorney General Andy Beshear says that was illegal. He sued the McKesson Corporation in state court on Monday, accusing the company of using misleading business practices to flood the state with dangerous and highly addictive prescription drugs and failing to report suspiciously large volumes of opioid shipments to state and federal authorities. 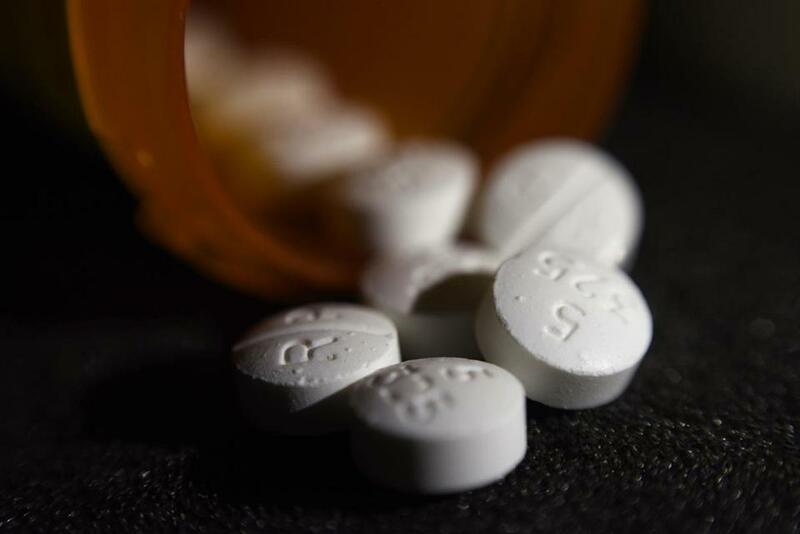 It’s one of a growing number of lawsuits state and local governments have filed blaming pharmaceutical companies for a nationwide spike in opioid overdoses that the Centers for Disease Control and Prevention has labeled an epidemic. McKesson spokeswoman Kristin Hunter Chasen said the company is just one link in the pharmaceutical supply chain, and that it distributes opioids only to pharmacies that are licensed with the state and registered with the US Drug Enforcement Administration. She pointed to a statement on the company’s website saying allegations that McKesson fueled opioid abuse are unfounded. 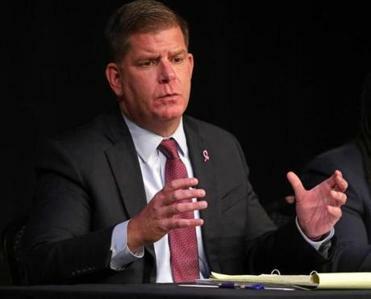 Boston Mayor Martin Walsh said opioid companies have put consumers at risk of addiction and he’s seeking information about possible litigation. “McKesson delivers life-saving medicines to millions of Americans each day and is committed to maintaining — and continuously enhancing — strong programs designed to detect and prevent opioid diversion within the pharmaceutical supply chain,” she said. Kentucky has been hit hard by the opioid crisis. More than 1,400 people died from drug overdoses in Kentucky last year, a 39 percent increase in just three years. The biggest culprit was opioids, including prescription painkillers, heroin, and fentanyl, a synthetic form of the drug that is more potent. Nationally, 91 people die from opioid overdoses each day, leading to hundreds of lawsuits against McKesson, Amerisource Bergen, Cardinal Health and other distributors. More than 200 such lawsuits filed by local governments in federal courts have been consolidated into a “multidistrict litigation” now centered in Ohio. Beshear’s suit in Franklin Circuit Court says McKesson is supposed to “monitor, identify, halt and, perhaps most importantly, report suspicious orders of controlled substances.” He says this did not happen, pointing to outsized supplies of opioids shipped to five eastern Kentucky counties. Altogether, those counties received more than 53 million doses of prescription opioids. Those counties have a combined population of 120,381. “While some states have just sued them all in a big lump, I believe in accountability. And what we are doing is systematically going through potential defendants and we are filing, in order or in partial order, of the culpability we see in Kentucky,” Beshear said. This is the second opioid-related lawsuit Beshear has filed. He sued Endo Pharmaceuticals and Endo Health Solutions in November. While Beshear is going ahead with the lawsuit, it’s unclear who will do the work. Beshear has hired four outside law firms to help him sue these companies. The firms will work for free at the beginning, but would take a percentage of any settlement or judgment the state receives. Republican Governor Matt Bevin’s administration has criticized the contract, saying it was improperly filed. Beshear is a potential candidate for governor in 2019, when Bevin could run for re-lection. After months of wrangling, the Bevin administration approved the contract in December. But earlier this month, a committee of mostly Republican state lawmakers recommended canceling the contract. Beshear has asked a judge to declare the committee’s action “null and void.” That case is pending. “If the Attorney General is serious about fighting opioids, he should work with the Justice and Public Safety Cabinet . . . so that the Commonwealth can optimize its chances for success against culpable opioid manufacturers and distributors,” Maglinger said.